PLAINFIELD, IND. - Duke Energy has received approval from the Indiana Utility Regulatory Commission to continue offering a comprehensive portfolio of energy efficiency programs for its customers. "Since the early 1990s, Duke Energy has offered its customers programs to save energy and save money," said Doug Esamann, Duke Energy state president  Indiana. "We will continue to offer energy efficiency programs and I encourage our customers to take advantage of these opportunities to lower their bill while conserving power."
Agency Assistance Portal – provides homeowners and renters who apply for the federally funded Low Income Home Energy Assistance Program and sign-up for Agency Assistance Portal with a 12-pack of compact florescent lights. Appliance Recycling – removes older, less-efficient refrigerators and freezers from customers’ homes and pays them a $50 incentive. Energy Education for Schools – targets elementary students with energy efficiency information and provides a take-home kit of low-cost energy-saving devices. Residential Neighborhood – provides energy-efficient and weatherization improvements for income-qualified customers. Multi-Family Energy Efficiency Products and Services – offers a variety of energy efficiency measures, including lighting, for apartments and other multi-family buildings. My Home Energy Report – informs customers about their energy use as compared to similar homes in their community and gives energy-saving tips. Power Manager® – pays customers who voluntarily reduce their use of air conditioning during times of high demand for electricity. Home Energy House Call – assesses homes with electric heat or electric hot water heaters for their efficiency and provides a kit of energy efficiency devices. To learn more, including how to sign-up for the programs, go to: www.duke-energy.com/indiana/savings.asp. Customers may also call Duke Energy at 800.521.2232.There are no separate fees for customers to participate in these programs. 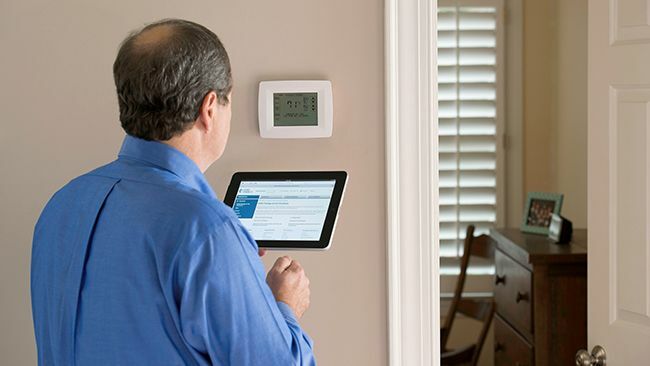 Program costs will be included in customers monthly utility bills under an energy efficiency rider. Duke Energy Indiana's operations provide about 7,500 megawatts of owned electric capacity to approximately 800,000 customers in a 23,000-square-mile service area, making it the state's largest electric supplier. More information about the company is available at: www.duke-energy.com.